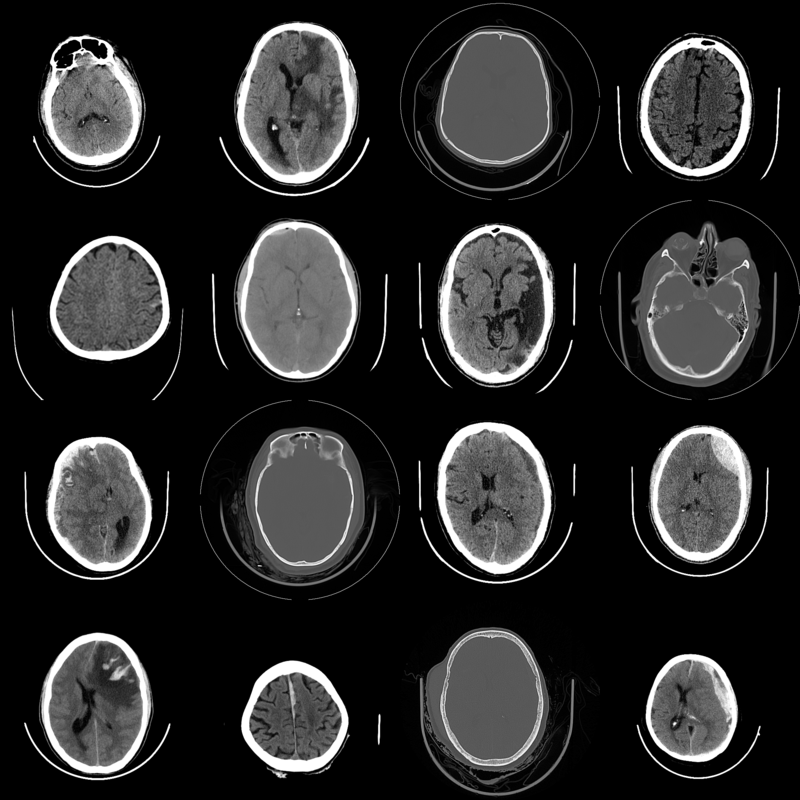 Algorithms that can identify bleeds, fractures and mass effect from head CT scans. Non-contrast head/brain CT is the standard initial imaging study for patients with head trauma or stroke symptoms. In this paper, we describe the development, validation and clinical testing of fully automated deep learning algorithms that are trained to detect abnormalities requiring urgent attention from head CT scans. We retrospectively collected a dataset containing 313,318 head CT scans along with their clinical reports from various centers. Of these, 21,095 scans (Qure25k dataset) were used to validate and the rest to develop the algorithms. Additionally, we collected CQ500 dataset from different centers in two batches B1 & B2 to clinically validate the algorithms. CQ500 dataset contained 491 scans. 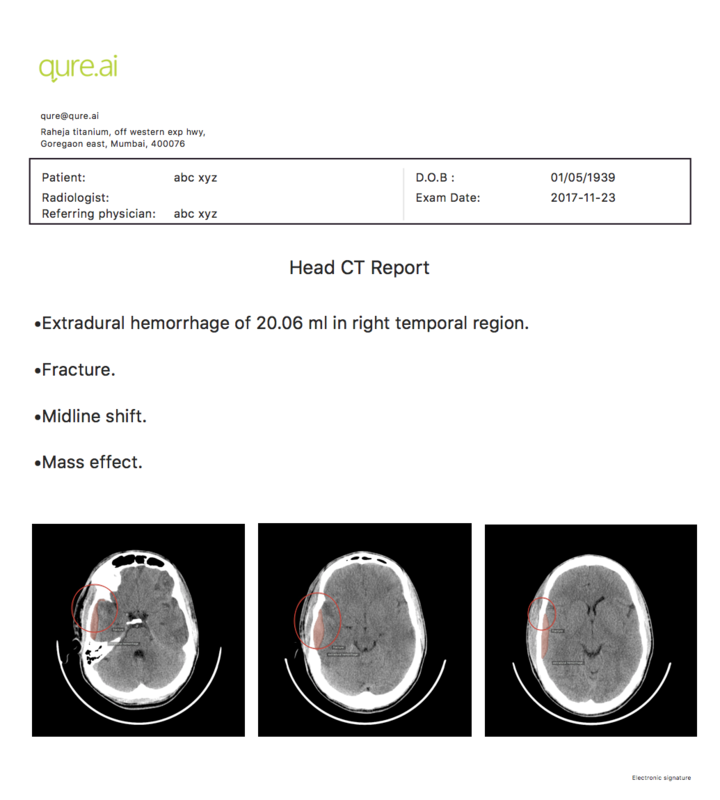 The gold standard for CQ500 dataset was consensus of three independent radiologists while the clinical report is considered gold standard for Qure25k dataset. Our algorithms can localize and quantify hemorrhages and fractures. Put together with brain anatomy segmentation algorithms, we can automatically generate reports with anatomical locations of lesions. We provide anonymized dicoms for all the scans and the corresponding radiologists' reads. 'Explore data' shows you a sample of this data.